Working out using an appropriate weight training program 3-4 times a week is essential to help stimulate muscle growth, but nutrition is the key to retain muscle for visible growth. To gain muscle you need to take in more calories than you burn on a daily basis – in other words you need to over-feed you muscles. Although there are some fortunate people out there who claim to find it easy to put on size and muscle, most of us have to put in the hard work and dedication to get the size we desire. 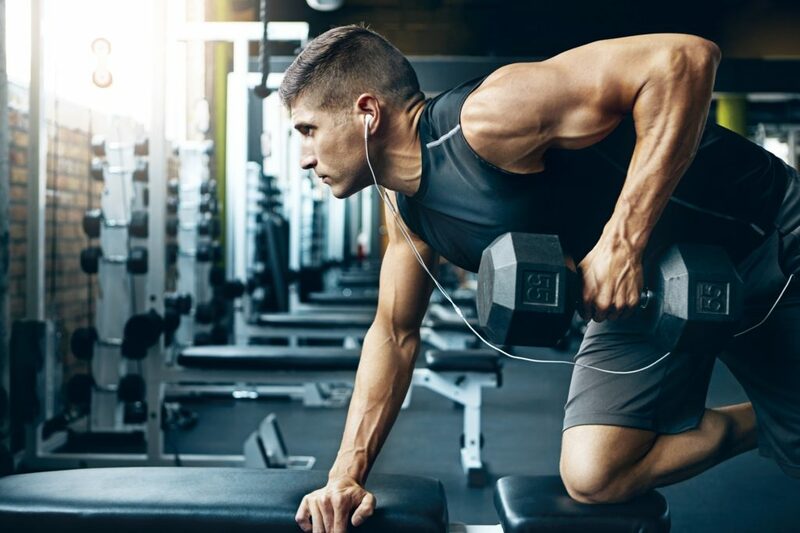 Everyone has a different story to tell when it comes to bulking up and putting on lean muscle mass, this is why it is important to understand what exactly you are putting into your body and how it can influence muscle growth. 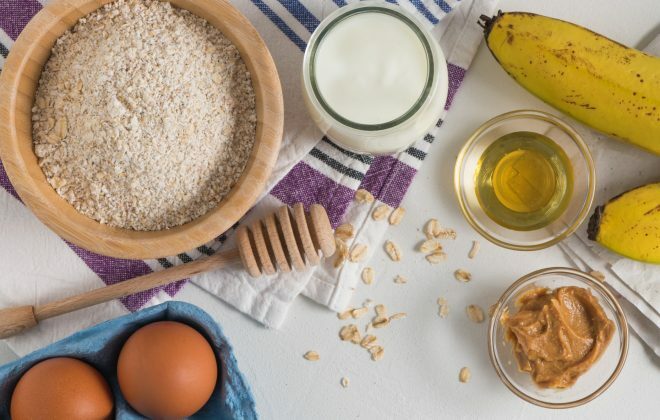 In this article Gwen Gothard – Musashi Performance Nutritionist discusses the most important foods to eat to maximise bulking results. 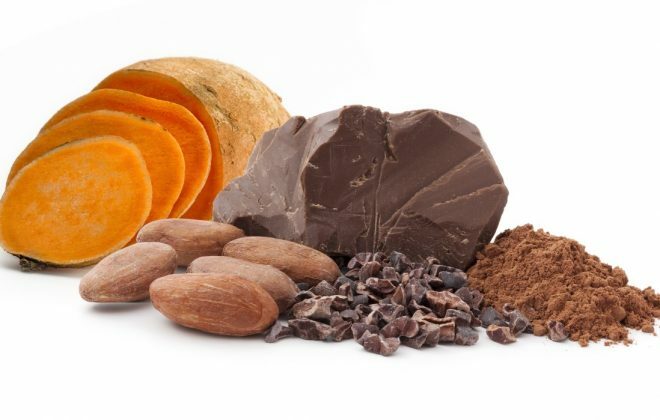 Sweet potato contains many important immune boosting nutrients (vitamin c and beta-carotene) which are a great slow-release carbohydrate – perfect for maintaining steady blood sugar levels (reducing chances of an unwanted energy crash) and assisting healthy clean bulk. To get the best from sweet potato, keep the skin on and steam rather than roast. 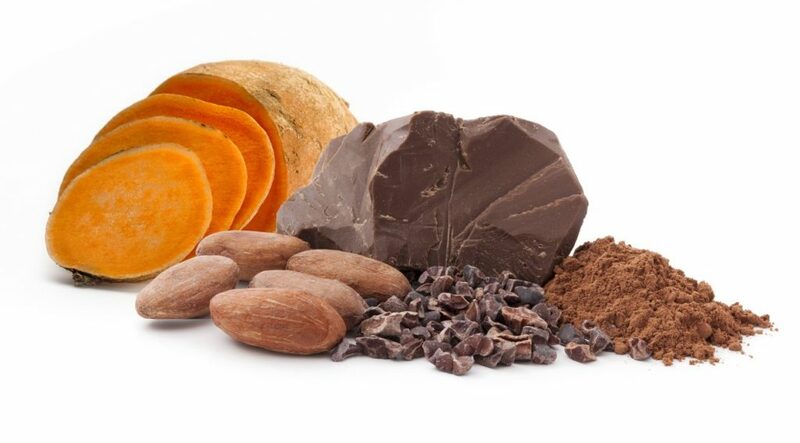 One cup of cubed sweet potato contains approximately 26g of carbohydrates and 3g of protein. Fish is an excellent source of lean protein. Salmon along with other oily fish i.e. sardines, are a great source of essential omega-3 fatty acids (helping bone, joint, muscle and skin health). Grill a salmon steak on a high heat to seal in the nutrients. A salmon steak weighing approximately 100g contains 20g of protein. Red meat is high in iron – helping to produce red blood cells which transport oxygen around the body. A beef steak is an excellent source of protein containing approximately 38g protein for one 150g steak. Red meat should be eaten once to twice a week. White meat such as chicken and turkey should be consumed regularly throughout the week. These two great meats provide the body with the amino acids your muscles need to repair and grow, both are low in fat and high in quality protein to assist mass gain. A chicken breast weighing 100g contains approximately 23g of protein. Vegetarians and vegans can still gain enough protein from a plant based diet to support muscle growth. 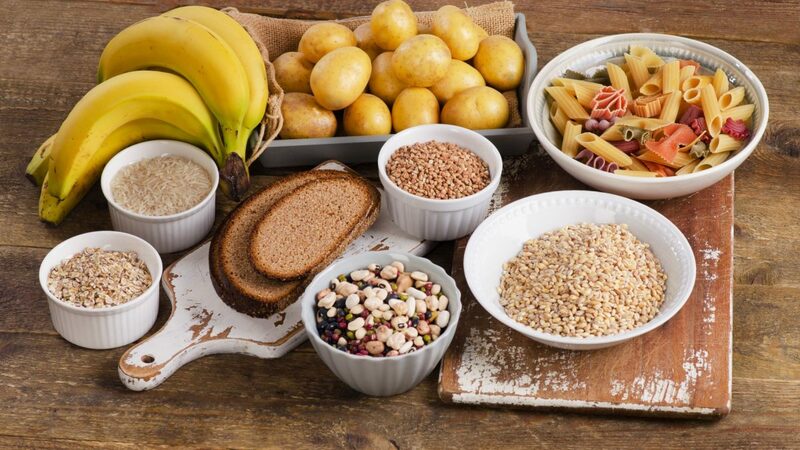 Eating a good variety of plant based proteins such as lentils, tofu and beans will ensure you are getting a wide variety of amino acids to support muscle growth. One cup of lentils contains approximately 18g of protein and 1 cup of tofu will provide about 20g of protein. Brown rice contains high levels of manganese, a mineral which helps produce energy from protein and carbohydrates. It provides the body with a great source of protein and carbohydrates essential for assisting muscle growth and development. White rice lacks nutrients essential for health but brown rice or basmati rice is an all-round healthy choice, containing approximately 6g of protein for one cup of cooked rice. 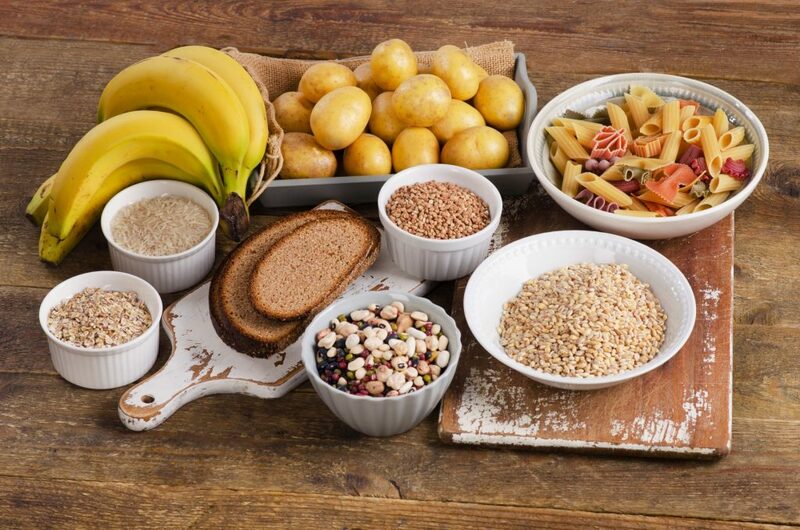 Oats provide an excellent source of slow release carbohydrates along with good a source of protein and fibre. Oats are a great breakfast choice and can be eaten raw or cooked. 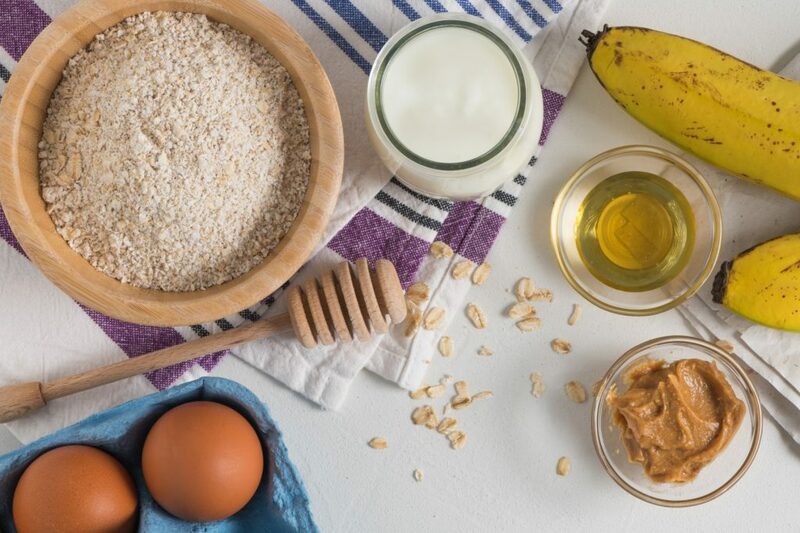 Half a cup of oats contains approximately 5g of protein and 27g of carbohydrates perfect for a pre or post-training meal. Don’t avoid the egg yokes. Whole eggs are great for getting a good source of protein (7g) and fat (11g) and around 75-90 calories per egg. Many people question the saturated fat and cholesterol content of whole eggs but unless you are eating a dozen eggs a day, their is no need for concern. Musashi Bulk Protein Powder is designed for people with increased energy needs. Each serve contains 23g of carbohydrates and 26g of protein. 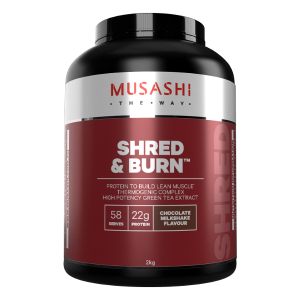 Whether you burn extra calories through manual work or play (team sports and exercise) Musashi Bulk Protein is a convenient way to replace lost calories and increase muscle mass. Ideal for busy people looking for a high calorific snack. Musashi Bulk EXTREME Protein Powder is the next step in weight gain protein powders. Medium Chain Triglycerides (MCT) are good fats which are rapidly absorbed by the body helping to increase lean muscle mass and decrease body fat. MCT fats have been extracted from coconut oil and added along with maltodextrin and two quality sources of whey protein to make the perfect post-workout mass gain product. Each serve contains 500Cal, 51g of protein, 65g of carbohydrates and 10g of fat. 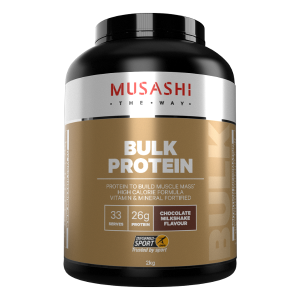 Musashi Bulk Extreme Protein is perfect for those who have tried EVERYTHING until now to put on weight and those who just can’t fit enough food in to maintain bulk. The table below provides an example of how to include some of these important bulking foods into your daily diet.